Luis was picked for the Argentina National Team when he was 17 and began his professional career one year later. 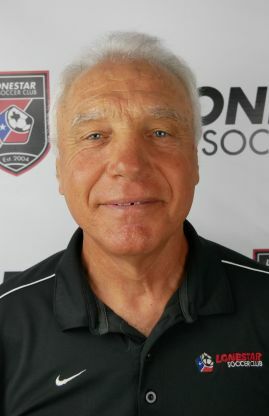 Lonestar SC is very fortunate and proud to have Coach Luis on staff. This career spanned fifteen years and included playing with the likes of Pele, Beckenbauer, and Maradona. After retiring, Luis joined the coaching staff of Ferrocarril Oeste and he also served as Assessor for Club Estudiantes, General Coordinator for Los Cardales Club, and Professor at El Instituto Nacional de Deportes. His coaching experience has helped lead players to Europe and South America as young professionals. Coach Luis was the past Austin Flyers DoC since 1994 and has a beautiful and passionate style of teaching the game to all Lonestar players.